“There is nothing to suggest that in present case that justice and law cannot dwell together. After all, one should not forget that the purpose of all law is justice.”, said the Court. Section 26(a) of the Persons with Disabilities Act, 1995 specifically mandates that every child with a disability has to have access to free education in an appropriate environment. 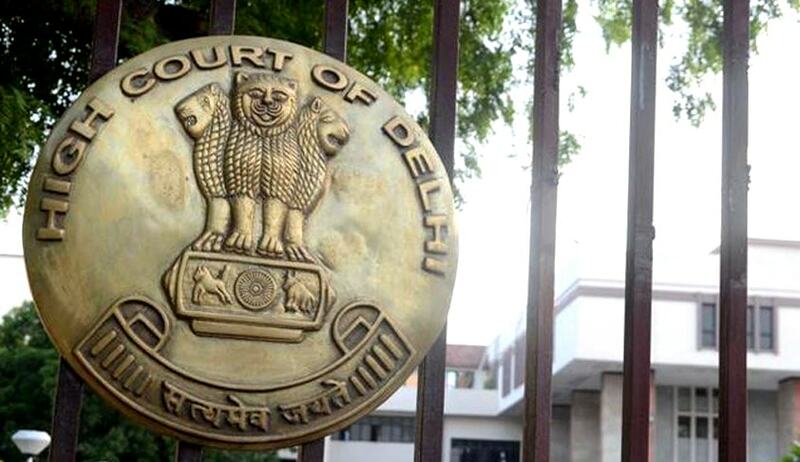 In a significant Judgment [Siddharth International Public School vs MACT] the Delhi High Court has directed Siddharth International Public School to admit a disabled boy who now has a prosthetic leg, under Weaker Section (EWS)/Disadvantaged Group (DG) Category by granting age relaxation. The Petitioner-school had filed the Writ Petition against the order passed by Motor Accident Claims Tribunal (MACT) whereby the school was directed to admit, upon application by the victim’s mother, the victim named Master Priyanshu in their school under the EWS/DG category in Grade I after a relaxation in age instead of Grade IV, as should have been the appropriate class for the victim according to his age, as per the School. Justice Manmohan has refused to accept the contention of the fixed upper age limit and the possibility of the victim in question disturbing the equilibrium of the class, considering the fact that he may be older than the other students in his class as this would mean that students who have not been admitted to studies due to difficult circumstances or were forced to leave their studies would never get an opportunity to continue with their studies and use their fundamental right to free and compulsory education. “The petitioner-school's contention that admission of Master Priyanshu would have disastrous consequences for the General students already studying in Class 1, is ill-founded. On the contrary, Master Priyanshu's admission would make the general students more sensitive and humane as they would appreciate the challenges faced by a student with disability and poverty”, said the Court. When the issue of contradictory identity proofs given by the victim’s mother was raised, the Court ruled in the favour of the victim’s mother. Although the RTE Act, 2009 Rule 13 specifies that birth certificate may be deemed as the correct proof to determine age but the rule 12 specifies that declaration of the age by the parents may be considered a reliable enough proof of age. Basing its finding on Section 14 (2), sections 8(c) and 12 of the RTE Act, 2009 to deduce that age is not a bar to admit a child in an appropriate class irrespective of his age. The Court emphasises that provisions of the RTE is meant for the welfare of student’s education and should not go against them. The Court clarified that that the number of EWS seats are to be calculated not on the strength of General category seats, but on the total strength of the class i.e. the overall number of seats in that class, according to Clauses 3 and 4 of the Order of the Govt. of NCT of Delhi dated 7th Janurary, 2011 and the Guidelines for Admission to Entry Level Classes in Private Unaided Recognized Schools of Delhi. Pertinent to note that the Court pointed out that Consequently, there is no bar on a private unaided school from admitting more than twenty-five per cent students in EWS category, provided the appropriate government agrees to pay for such extra seats under Section 12(2) of the RTE Act, 2009. The Court found merit in the contention that the deployment of Special Educators and a barrier free movement for students with disability cannot be deferred till the admission of children needing the special facilities. Section 26(a) of the Act, 1995 specifically mandates that every child with a disability has to have access to free education to free education in an appropriate environment. A matter of significance has been adverted that in accordance with provisions of Section 26 of the Persons with Disabilities Act, 1995, disabled students are entitled to free education till they attain the age of eighteen instead of the fourteen years as mandated under the Act for able-bodied students. The Court clarified that having given an opportunity to the contesting parties to elaborately present their cases, the violation of principles of natural justice doesn’t hold true. As regards the question of the Court not having the jurisdiction to direct the school to admit the student, the Court reiterated that under the broad jurisdiction of Article 22 of the Constitution, it can pass whatever order are necessary to ensure equity . The Court has opined that the impugned orders have been passed by the President Officer, MACT, with intent to do substantial justice and to give the victim of motor accident real succour, yet as they are without jurisdiction, they are set aside. The Court has reiterated that the directions in the present case have been passed to rehabilitate an accident victim who also belongs to an EWS/DG Category. “There is nothing to suggest that in present case that justice and law cannot dwell together. After all, one should not forget that the purpose of all law is justice.” Justice Manmohan concluded.